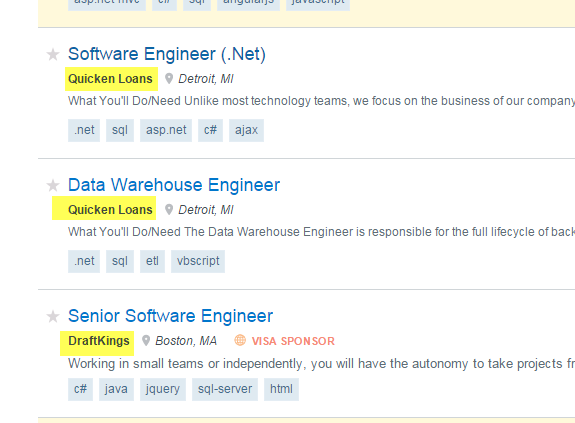 Our primary goal with this search result is to get you to the actual job listing. From there, we should make it easy to get to the company page/site or location information. I'm only worried that this will muddy the funnel of users searching > viewing jobs > applying (or looking for more information). Once you've made it to the job, the company name links to either a company page or an external URL for the company.